Before I share today’s Five Minute Friday card, I wanted to remind you that the Retirement Sale is in full swing. We have just over a month before those products will be gone forever. And sadly, some of them are already sold out. One product that isn’t retiring from the Occasions Catalog is the Cool Treats stamp set and Frozen Treats Framelits. You may have noticed the bundle on the Retirement List and that’s because the bundle is retiring, not the individual products. What does that mean? Well, the 10% off bundle pricing is going away at the end of May. If you think you want both products, get them now, while you can still save the 10% bundle savings. 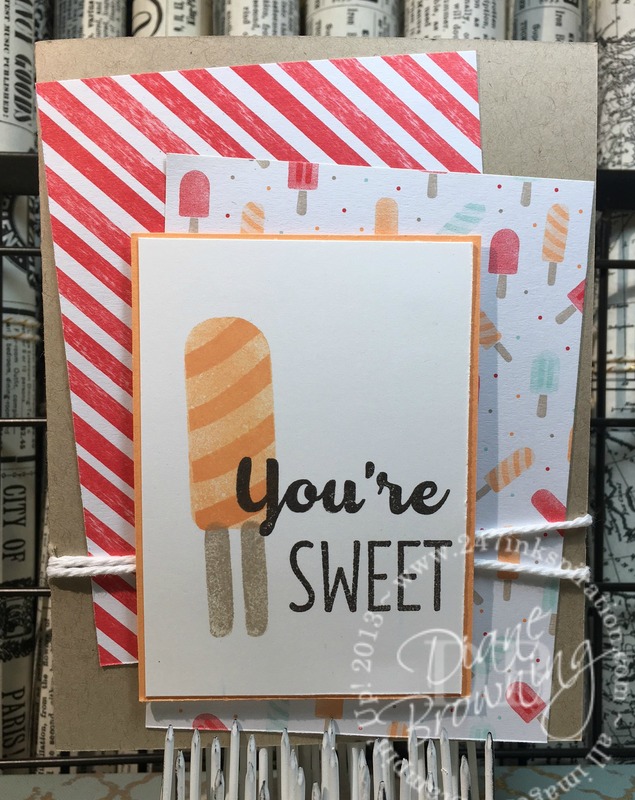 Today’s card uses the Cool Treats stamp set and Tasty Treats Designer Series Paper. I love the bright, Summer-y look to the paper. The ice cream and popsicle stamps are so fun. My popsicle is Peekaboo Peach, which kind of reminds me of those orange creamsicles that we used to buy from ice cream trucks when I was a kid. The first layer of the popsicle is inked and then stamped off before stamping on the white card stock. Then the swirls are inked and stamped directly onto the white card stock. 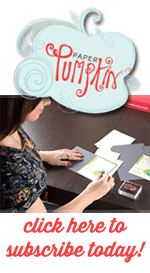 By stamping off the first layer, it gives it a lighter look for tone-on-tone stamping. This card is actually my Customer Thank You for customers that made purchases in March. I’m a little late getting them out this month, but better late than never. Some of you have probably received this in the mail by now. If you want to receive a handmade thank you card from me, all you have to do is make a purchase in my online store or in person. Click the Order Online button on the top right corner and it will take you to my shop. Don’t forget to use my Hostess Code which is listed right below the Order Online button. If you use my Hostess Code, you can take advantage of my punch card. See the link at the top for the rules. Be sure you check back here on Monday. I will be announcing my next Class To Go Kit. You are going to love this one. Here’s a hint… it will definitely put you in the mood for Summer.